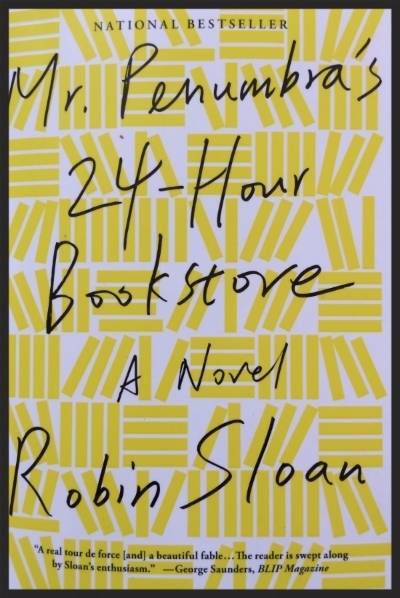 Leelanau Books staff recommendations for reading list. Book lovers review and suggest a good book for your next read. Check out our staff picks from an indie bookstore in Northern Michigan. 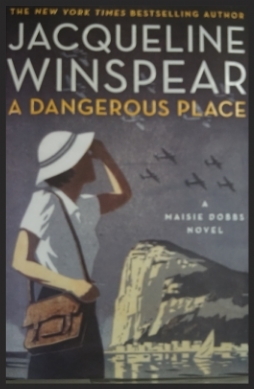 I have enjoyed Masie Dobbs from the beginning of the series. Each is complete within itself but they do progress. In this, she is grieving ( and no, I'm not going to tell you why) so she is traveling and of course gets involved in solving. I find these novels well constructed and always a good story without violence or gore..refreshing. I would enjoy having her to tea!! Last summer, customer after customer asked if I had read and enjoyed The Rosie Project. Alas, summer busies kept me from doing that...and then I went back to Dayton and forgot! I would like to recommend, The Good Lord Bird by James McBride. He is the author of the Color of Water, a very popular novel of several years ago. The Good Lord Bird has won The National Book Award. “It is a tragically funny satire of a young boy who joins John Brown’s antislavery crusade- and who must pass as a girl to survive.” Mr. McBride handles the condition of slavery in a thoughtful manner told in a clear-eyed manner. I learned quite a bit about John Brown and his “crusade” with humor and pathos..I can certainly recommend this book. For those of us lucky enough to see Colum McCann at the Traverse City Opera House this past summer, we got a great preview of his writing. He is literate with a strong literary style. He tells a great story. Some of it may seem disparate but when finished...all comes together, characters, plot contents. He is compelling. TransAtlantic is no different. We start in Newfoundland in 1919 with two aviators attempting the first transatlantic flight. Then to Dublin, where we follow Fredrick Douglas, who finds the Irish people sympathetic to the abolitionist cause while their country is ravaged by the potato famine. Slavery has many faces and kinds. These are two of a vast cast of characters both men and women whose personal stories are caught up in the swells of history. I was captivated by this book, my book club in Dayton, had a lively discussion about it and I can highly recommend both this book and anything Colum McCann writes. I have read: Let the Great World Spin, Zoli and Dancer. Everybody Matters by Mary Robinson. Let me quote first” One of the most inspiring women of our age, Mary Robinson has spent her life in pursuit of a fairer world.” She served as the seventh, and first female president of Ireland, 1990-1997, and as United Nations High Commissioner for Human Rights from 1997-2002. She has numerous bodies for human rights and co-founded The Council of Women World Leaders. She is a member of the Elders, an independent group of global leaders brought together by Nelson Mandela. This hardly scratches the surface of her accomplishments and awards. She has been listed as a choice to become the first Woman Cardinal to the Roman Catholic Church. Jon and I listened to her presentation at the University of Dayton and were mightally impressed. In this day and age, it was encouraging to meet and hear such a remarkable woman. I would like to recommend her book, Everyone Matters, My Life Giving Voice. Extraordinary! This is a wonderful book. Written in letter format, it is about two women who become pen pals when their husbands are serving overseas during WWII. Rita is an Iowa farm wife, middle aged with a grown son. Glory is a wealthy, young woman living in Massachusetts, just starting her family. Although, they have very little in common, they form an extraordinary relationship through their frequent letters. They share joys, sorrows, recipes and many secrets. Well written, good period detail- a great read. This book is a page turner. It is about Lavinia, a seven year old white girl who is orphaned on board a ship arriving from Ireland. She is taken to a plantation to live and work with black slaves in the "kitchen house." As she gets older, she is sent to the "big house" to care for the plantation owner's opium addicted wife. She develops bonds with both her white and black families, but is not completely accepted by either. Lots of drama, great historical detail, a terrific read! What! Me read non-fiction? Probably not, I like a great tale, well drawn characters, mystery, intrigue, and compelling plot! It has all of the above and my fear, "I know that tale" was 100% wrong. I knew sketchily of it having no idea of the characters, the interplay and the timeline. The author, Lynne Olson, does a heroic job of combining all the attributes of a good fiction. The character depiction is complex, observant and objective. Woven together in a wonderful tale. I quote, " Engaging and original, rich in anecdote and analysis, this is a terrific work of history"--Jon Meacham, Pulitzer Prize winning author of American Lion. Ditto!! Ms. Ozeki is a writer, film maker, and a Zen Buddhist Priest...all of which are apparent in this beguiling tale. It takes place between Japan and a remote island, where a novelist lives with her husband. The novelist, Ruth, finds a Hello Kitty lunch box washed up on her beach. She believes it came from the Tsunami and opens it...finding a watch, letters, and a diary of a 16 year old named Nao Yasutani. And the mystery of this young girls's life begins. I truly enjoyed this tale...even it's foray into quantum physics. I am no brain but the ideas put forth are quite compelling. I do recommend the book.